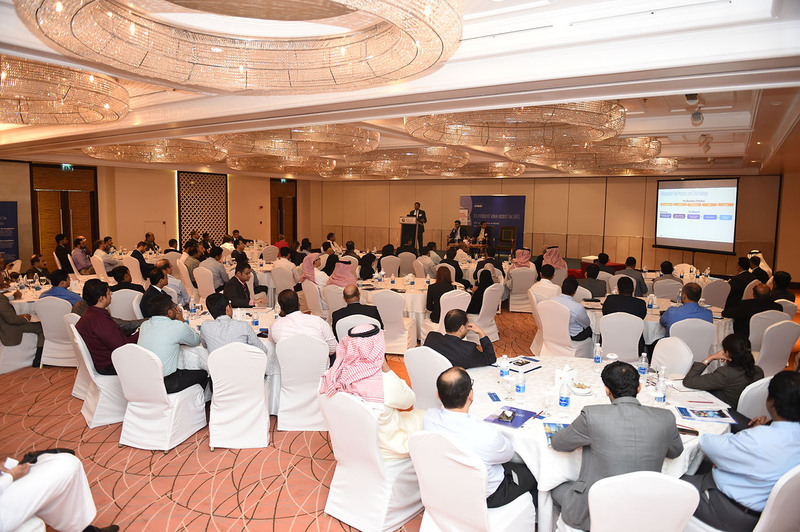 More than 80 senior Information Technology professionals from the local business community attended today an informative session organized by KPMG in Bahrain to discuss the implications of value-added tax (VAT) in the technology space, but also looking at the opportunities it offers. Held under the theme Compliance through Technology, the event reviewed the expected compliance reporting requirements and options which businesses can use to prepare their digital infrastructure to administer VAT when implemented. Philippe Norré, Head of Indirect Taxes at KPMG in Bahrain, explained in his keynote speech how the complexity of managing VAT throughout the entire supply chain, including business transactions inside and outside of Bahrain and assimilated hidden transactions, will require automated processes to utilize resources and adhere to the compliance formalities within a company’s IT system to minimize risks and costs. “Having a technology-enabled processes, upgrading the existing Enterprise Resource Planning (ERP) system or carefully rolling out add-on tools embedded in the overall digital strategy of the organization, is a must-do to ensure accurate tax reporting and avoid financial penalties and navigate government issues.” He added. The event also featured insight on technology options available in the market for VAT compliance. “Since the volume and type of business transactions differ from one organization to another, there is no one solution that fits all nor a single “killer” system. Companies should utilize the current implementation phase to review their systems against their anticipated VAT processes, select the right automation option and roll it out to meet their specific requirements” Norré commented. Upon VAT implementation in Bahrain by mid-2018 (as currently expected), businesses within annual supplies threshold of USD 100,000 (BD 37,700) will need to record, assess and report VAT obligations as well as VAT refund entitlements for their business transactions and submit them to the competent authority (to be set up) within specific timeframes. Detailed information about reporting formalities and timelines will be available in the local VAT law, when published in the upcoming months. However global VAT best practice provide sufficient information for companies to start getting ready for the new tax system. The event took place at the Gulf Hotel. For more information about KPMG in Bahrain’s VAT related events, please contact Khalid Seyadi, Senior Marketing Executive at KPMG in Bahrain, kseyadi@kpmg.com.